Fireworks are off-limits in many areas this summer because of the fire threat it poses to foothills, forests, and even neighborhood underbrush. Even if fireworks are allowed in your area, you’re bound to have some children who want an exciting hands-on experience, but aren’t quite old enough for the fire power yet. Here are three fun fire-free “blast-off” experiments you can incorporate into your Fourth of July Festivities. And you don’t even have to wait until dark! I’ve yet to meet a child who doesn’t love film canister rockets! Check out my instructions on how to construct them. You’ll also find how to make this extra special by adding a little color. When you’re done blasting off, you’ll have a colorful fireworks mural! Mentos and Diet Coke have become a classic! There’s a tool that makes Steve Spangler’s Mentos Geysers even easier. Check it out! This is a big favorite around our house! All you need is a straw, a balloon, tape (painter’s tape or masking tape works best, but as you can see, I’ve used a few different kinds), string, and two anchors (chairs, trees, poles, people, etc.). First, run the string through the straw. Next, attach each end of the string to your anchor object. Chairs seem to work best because you can tie your string and then scoot them back to tighten your line. 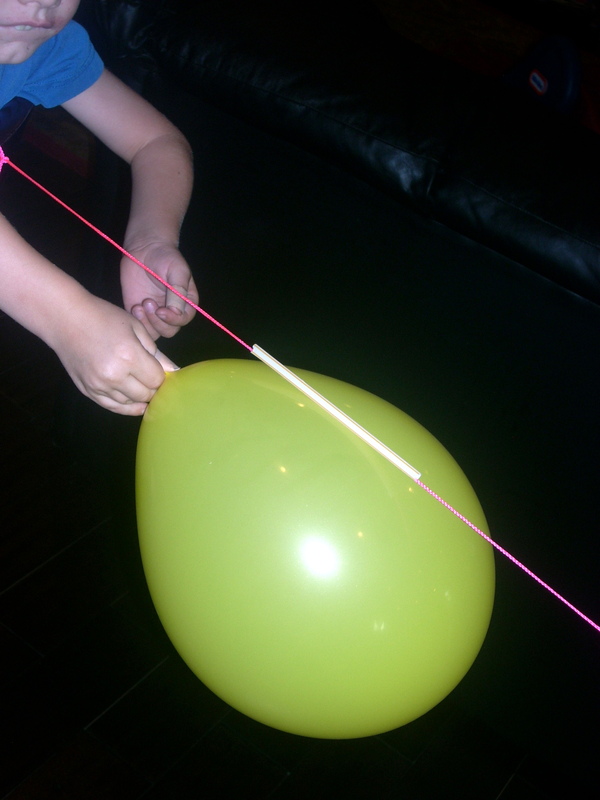 Third, blow up the balloon (but leave it untied – just pinch it) and tape it to the straw, with the neck of the balloon pointing away from the direction you would like the craft to move. Finally, let go of the balloon and watch it fly! These activities not only offer a fire-free blast, but also create science discussions about propulsion, pressure, force, and movement. How could kids not get excited about learning? It’s nice to share with your friends…. Great ideas! I used to do the film canister thing in my Household Chemistry class at the SC State Museum. Never failed to get the kids’ interest! !